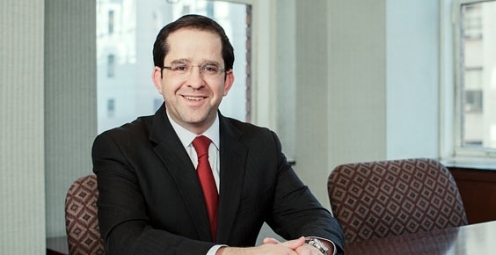 Uri Rosenwasser focuses his practice on the asset management industry, and advises managers and investors of domestic and offshore hedge funds, private equity funds and hybrid funds. With respect to private investment funds, he handles all aspects of their formation, documentation and ongoing operations. Some of the key issues Uri regularly advises on are: structuring, offering documents, marketing materials, "market" terms, seed and strategic deals and side letters and managed account agreements. In addition, he regularly provides clients with guidance on general corporate matters relating to private funds’ service providers, marketers and consultants. Uri’s practice also includes guiding funds on compliance and regulatory matters, including filings, registrations, compliance programs, and compliance trainings. Uri also provides assistance with management company operating agreements, executive compensation plans, and employment and termination agreements. Uri is fluent in Hebrew and leads the firm's efforts in representing Israel-based private investment fund managers and other entrepreneurs on a range of issues relating to formation and US compliance.